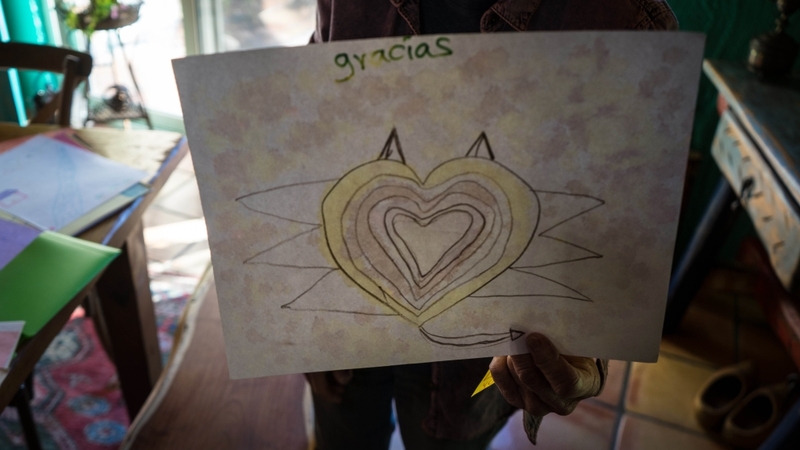 Green Valley, Arizona – Shura Wallin shuffles through a stack of drawings given to her by migrant children. She finds the one she is looking for and lifts it up. It depicts a Border Patrol vehicle chasing three stick figures, their arms raised as they flee. Since she started working on the border in 2000, Wallin has found severely dehydrated people, others with thrashed feet – having worn through their shoes during the journey – and recently deceased bodies. “There are more challenges for not only people who those of us who are trying to save the lives of people, but definitely [there are increased] challenges for people who are trying to come across,” she says. In mid-October, as a US-bound caravan of mostly Central Americans made its way towards the southern border, Trump falsely claimed that the US was facing an impending “invasion”. That same month, he deployed thousands of US troops to border areas. Facing a swell of criticism, the Trump administration has lashed out at Democrats and pro-migrant groups. “Our system has been pushed to a breaking point by those who seek open borders,” Secretary of Homeland Security Kirstjen Nielsen said last month. 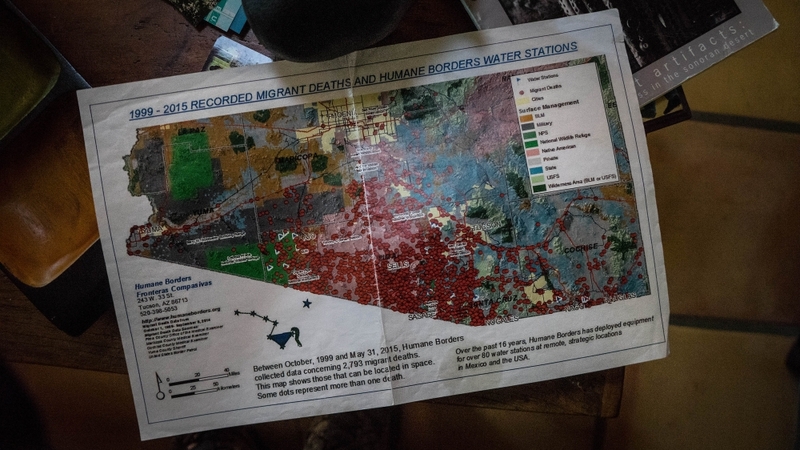 Joel Smith, the operations manager at the Tucson-based Humane Borders nonprofit, started working on the border in 2009. In the last decade, he has witnessed migration routes change “drastically”. “The risk now is more than ever,” Smith says. But as Trump turns the border into a keystone of his administration’s agenda and risks for border-crossers soar, Smith has observed a larger number of people reaching out to help in humanitarian operations. “You can’t live here and not see human suffering,” Kelly, 73, tells Al Jazeera, estimating that nearly every week residents stumble upon travel-worn people who have crossed into the US. “We know that it is physically impossible, say, to cross that 12 miles [19km] while carrying enough water to survive,” Justine, an activist with No More Deaths, tells Al Jazeera, explaining that water drops could amount to the difference between life and death in the desert. Citing privacy, Justine declined to provide a surname. 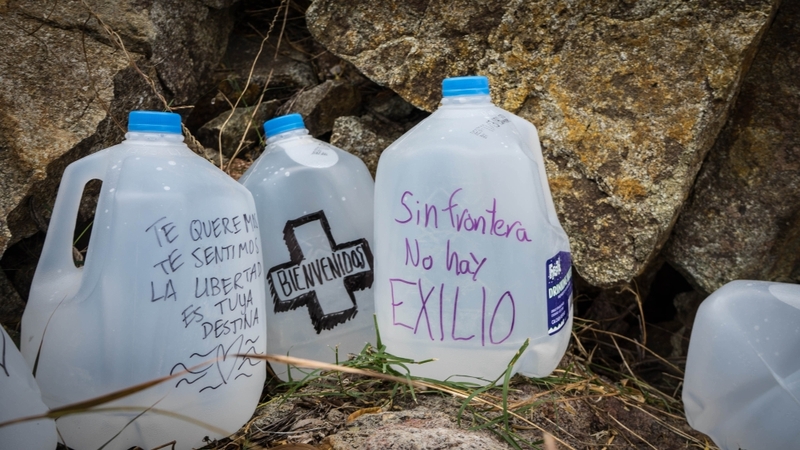 Like other humanitarian groups, its volunteers leave out water jugs in many of the least hospitable corridors of Southern Arizona’s desert, search for those who go missing along the way, and document human rights violations by Border Patrol and other authorities. 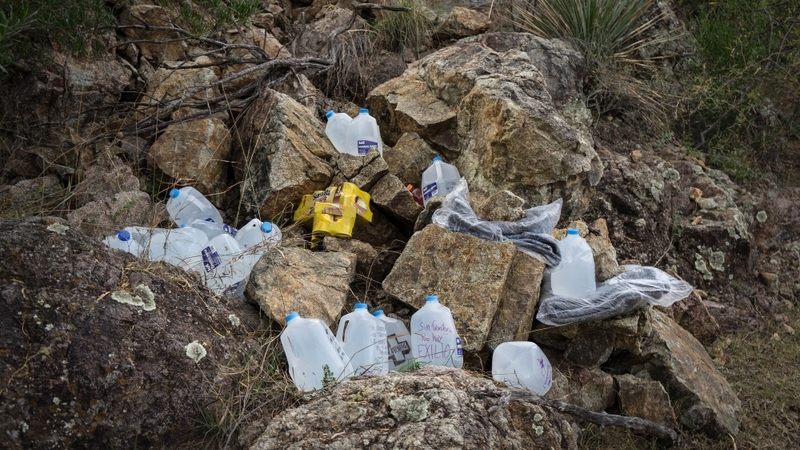 In January 2018, No More Deaths released a video of Border Patrol agents dumping out water jugs left behind by humanitarian groups. 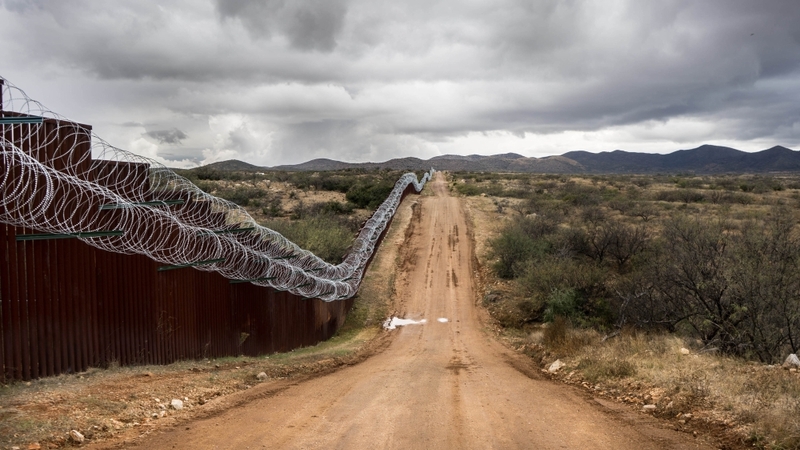 In a report that accompanied the clip, which included footage from as early as 2011, the group accused authorities “condemn[ing] border crossers to suffering, death and disappearance”. In a statement at the time, Border Patrol said it was aware of the video and that its agents “have been instructed not to remove or destroy water stations, food or other resources left along trials in the desert”. Back in her home, Shura Wallin lifts a photo showing a migrant’s battered and bloody feet. While walking through the desert, he had worn through the soles of his shoes. “What percentage of people do you know who want to leave their families and their countries? I don’t know anybody,” she says. “Why don’t you come and look into the faces of the people we are demonising and then tell me we’re doing the right thing?” she asks.